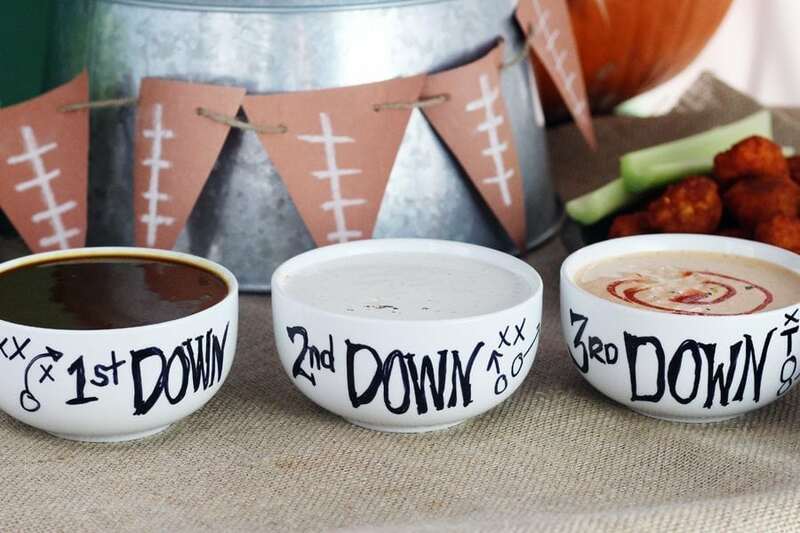 We have a super-easy and super-cheap Football Banner DIY for you. 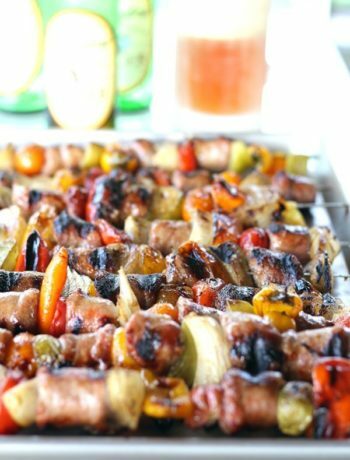 This is a great touch for all of your tailgating parties, home football parties, Superbowl gatherings and more. You can make it as long as you’d like. We made it using household items we already had on hand: construction paper, twine and chalk. Too easy. This post may contain affiliate links for products on which we earn a small commission at no additional cost to you. This helps keep our blog running. 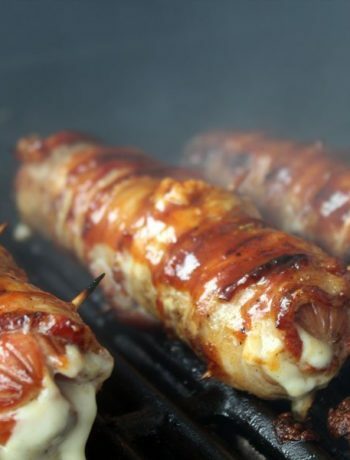 Sure, you could put out some chips and dips and call it a Football Party, but we like to pretty things up a little. Thing is, we are also on a budget. 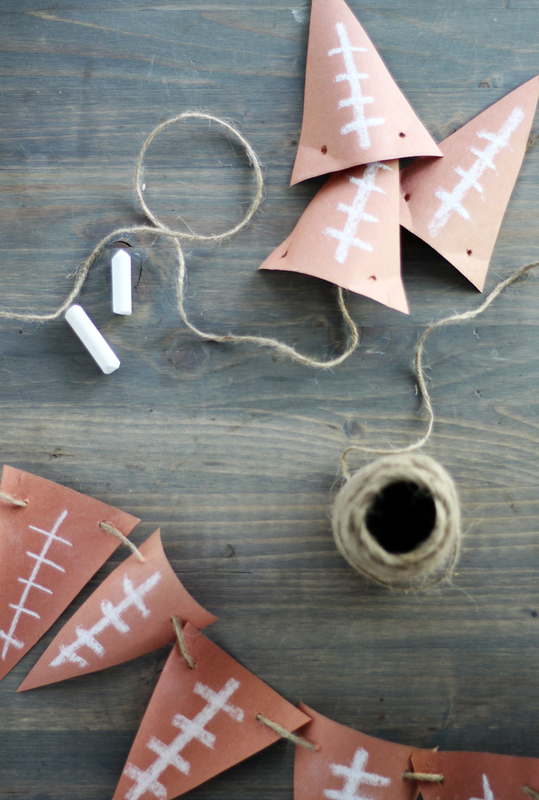 This fast and easy football banner DIY project is perfect for us. To make your football banner, first take inexpensive construction paper and decide what size you want your triangle shapes to be. We wanted something small so we could hang it on our kitchen island. You can use brown for fun football shapes, but the possibilities for this banner are up to you. 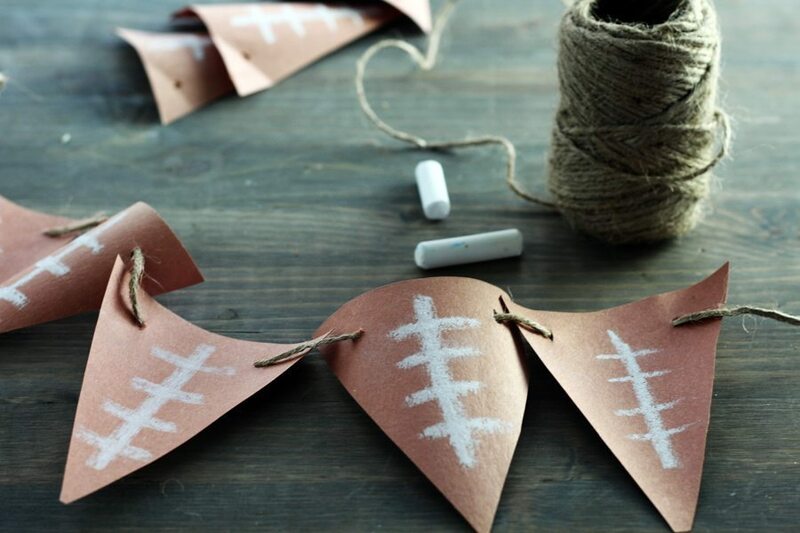 Once you have your shapes cut out, draw simple football stitch lines on them using chalk or a paint pen. If you are a perfectionist you can certainly do it with pencil first and go over it with the chalk. We like the rustic look, so we drew ours freehand. Next punch or poke holes in the top two corners of each paper triangle. 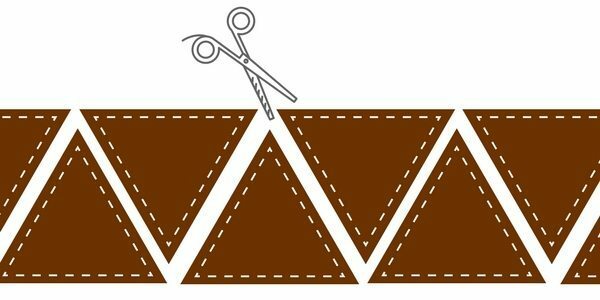 Measure and cut the kitchen string or twine to the length you want. 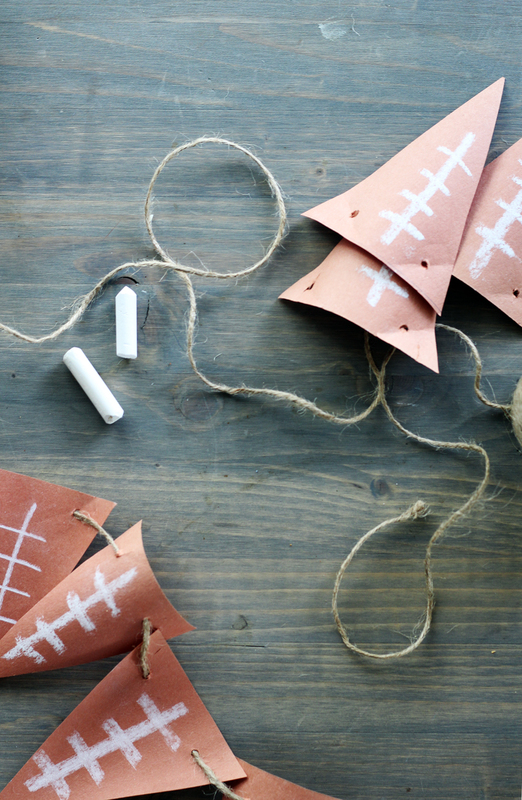 To assemble the football banner, simply thread each paper triangle onto the twine. To get the slight curved effect, we simply rolled our paper before cutting. 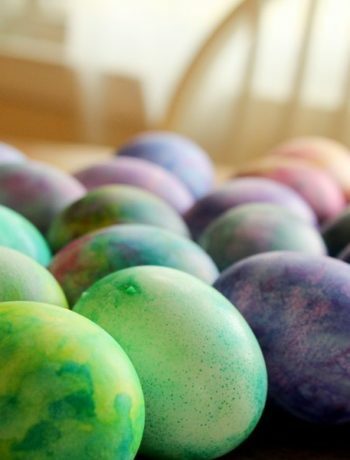 This is adorable and looks so easy to make! 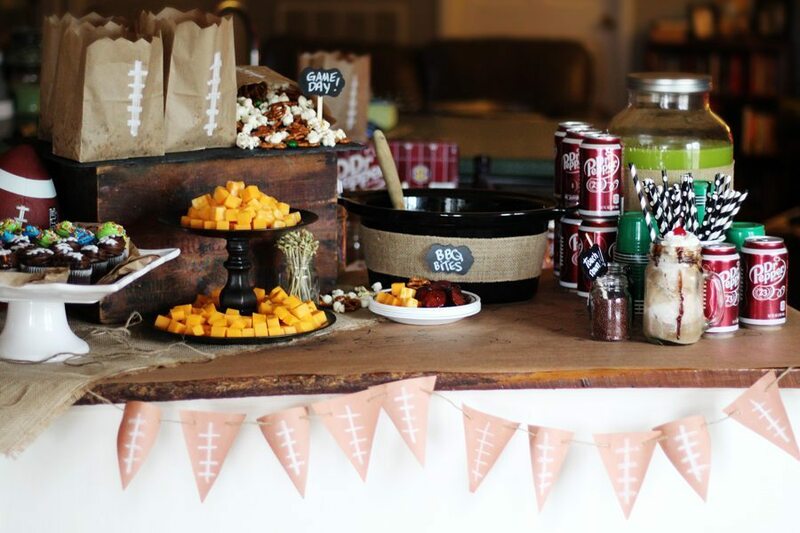 This banner would be so cute at a boy baby shower or something, too…LOVE it! Thank you! Super fast and affordable too. ??????? ?